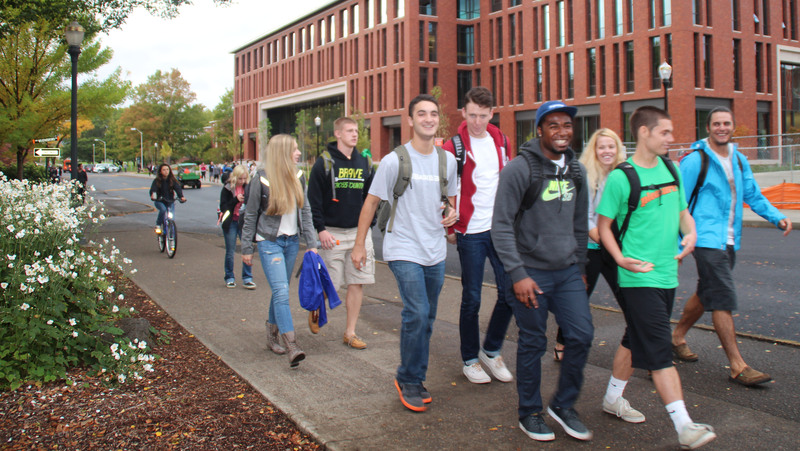 The Career Success Center connects OSU College of Business students with the resources needed to succeed in today's job market and employers with the great talent at Oregon State. As the only college on campus that has its own Career Success Center, our services are tailored specifically to the needs of business students. Students gain the resources needed to obtain internships, interviews and jobs, while employers and recruiters meet profession-ready employees prepared to make an immediate impact. For more information, contact us at: 541-737-8957, or come visit us in Austin Hall 102. Extended hours on Thursday until 7 p.m. Discover the career-related services offered to our students. 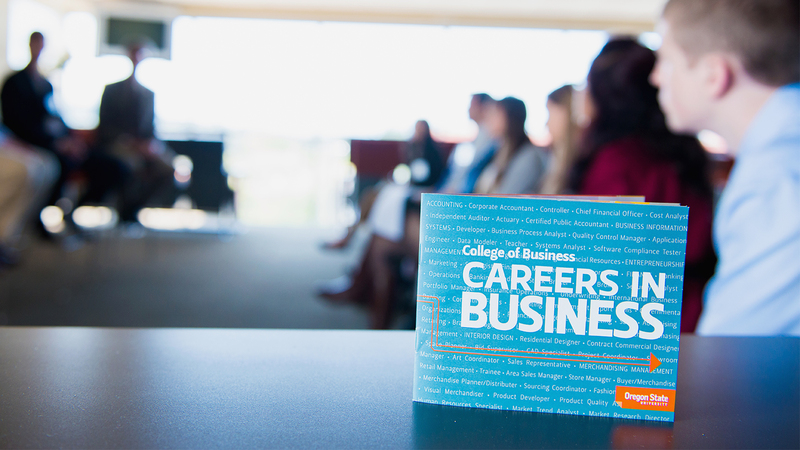 Learn how employers can engage with our students and support the College of Business. Corporate Partners have enhanced access to our students. Learn how faculty can aid in the success of our students. We want to hear about your job or internship! Download our Career Guide here. 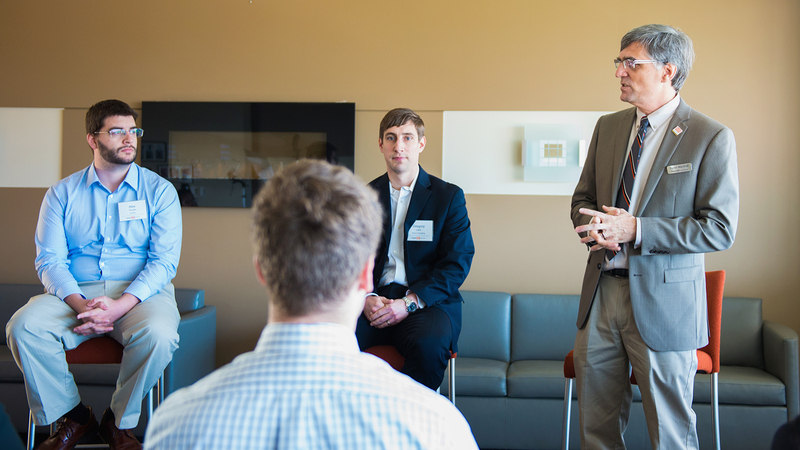 Students across OSU will have the opportunity to enhance their professional sales skills, thanks to a newly launching initiative in the College of Business. 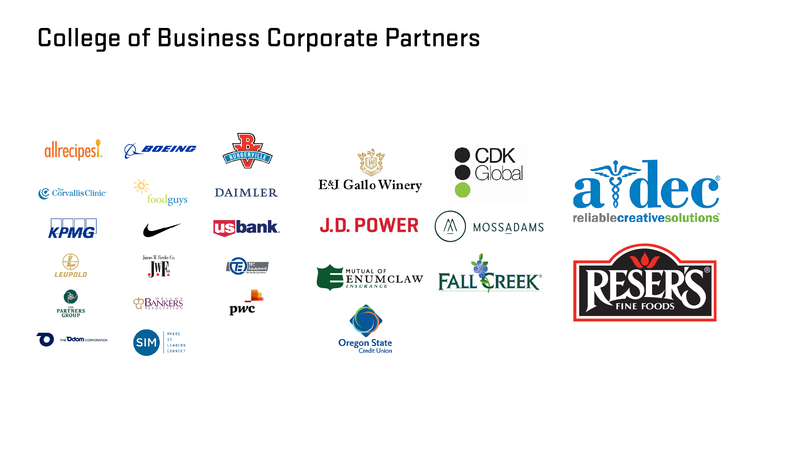 The Sales Academy comes to OSU in the 2018-19 academic year with the backing of numerous regional and global corporate partners. The Sales Academy combines both academic and extracurricular activities, giving… Continue reading → Read full story. BA 260 teams, Launch Academy students and Next Great Startup pitch competitors wow judges with big ideas Three minutes to pitch, another three to take questions, and then a few moments for judges to make notes. Through two days of competitions, hours of presentations on three separate competitive event platforms, the College of Business… Continue reading → Read full story. Business, leadership, health, strength and service to society these are some of the many torches our lineup of panelists carry to the first Corvallis-based Advancing Women in Leadership strategic discussion this month. 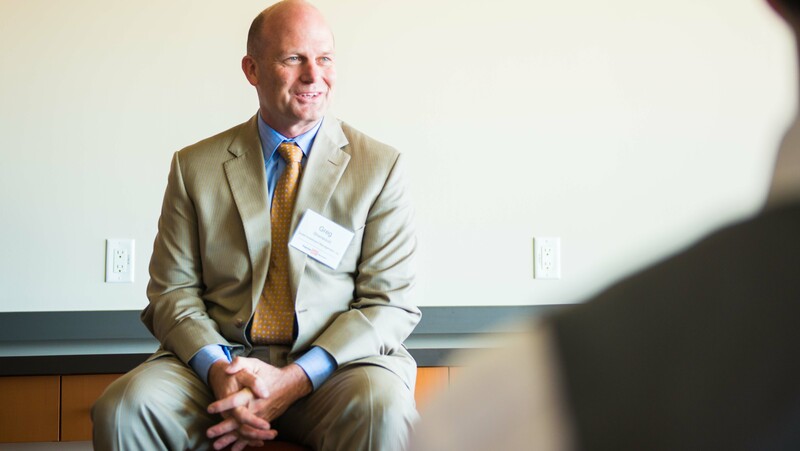 The November 29 meeting, hosted by the OSU Center for the Advancement of Women in Leadership and the OSU Women in… Continue reading → Read full story. One year to a bachelor’s degree, with our Lane Community College fast-track arrangement One year to a bachelor’s degree, you’ve read that right! Graduates with a business associates of applied science from the Eugene, Ore.-based Lane Community College can earn their bachelors degree in business from Oregon State University in one year thanks to an… Continue reading → Read full story. CORVALLIS Oregon State senior Nathan Braaten has earned national recognition as he was selected as a candidate for the men’s soccer Senior CLASS Award. To be eligible for the award, a student-athlete must be classified as an NCAA Division I senior and have notable achievements in four areas of excellence: community, classroom, character… Continue reading → Read full story.